Product prices and availability are accurate as of 2019-04-19 03:43:39 UTC and are subject to change. Any price and availability information displayed on http://www.amazon.com/ at the time of purchase will apply to the purchase of this product. Race through the air at top speeds with this light and mini race drone. 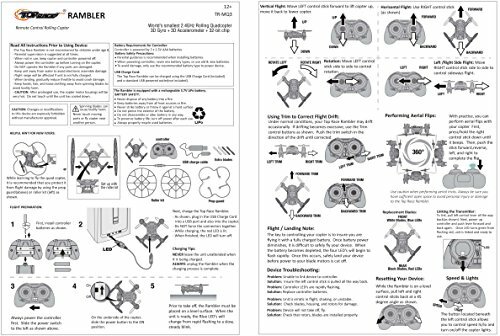 Measuring only 1.6" x 1.6", this quadcopter mini offers impressive maneuverability for in-air stunts. 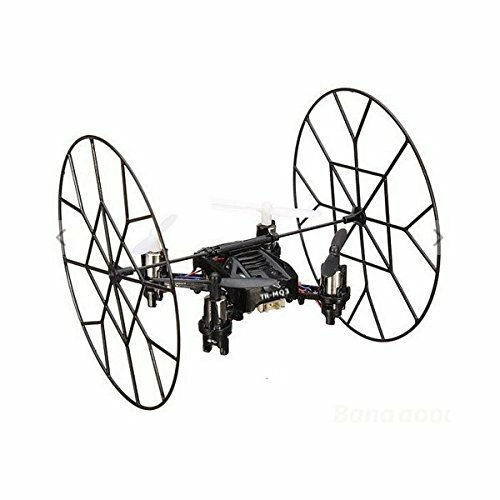 With its built-in gyroscope, you can enjoy loads of action and make your drone fly, roll, flip and drift. 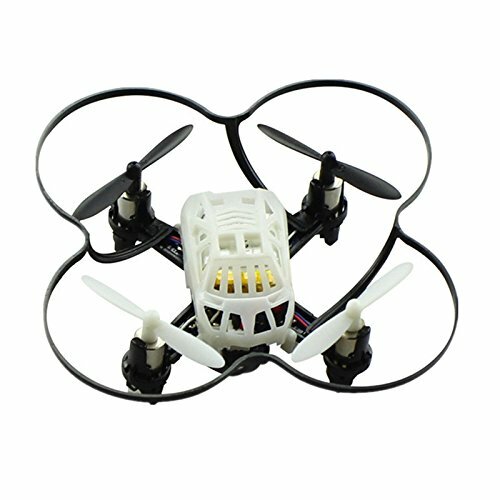 This mini race drone has full movement that can swiftly move backward/forward, ascend/descend, left/right rotation and drifting. 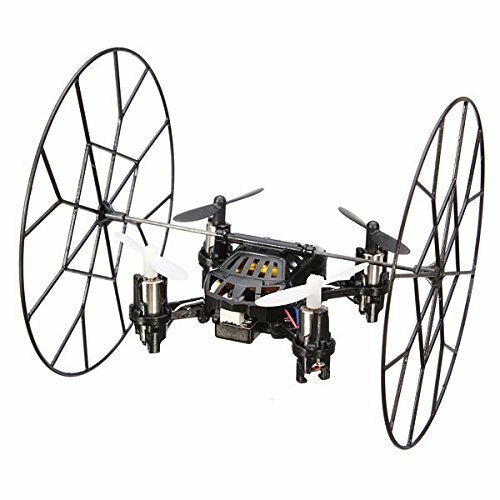 Built to withstand high impact, this mini copter is made from a durable mix of metal and plastic. Choose from three levels of speed: high, normal, and low, making this race drone a great option for new flyers. 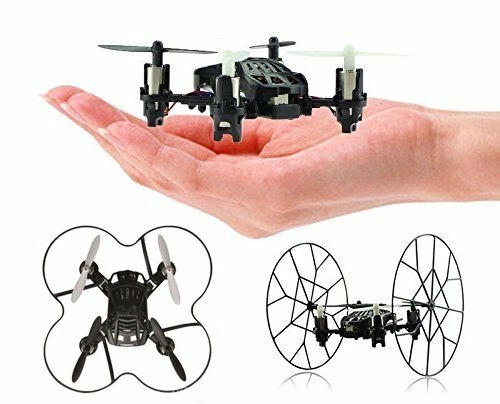 This mini indoor drone can also be flown outside with blue and red LED lights included that will help you track your drone from far or in darkly lit areas. Enjoy convenient charging with the included USB cable and a 9 minute charging time for 5-6 minutes of flying. Control the drone from up to 65 feet away with the powerful 2.4 Ghz transmitter. 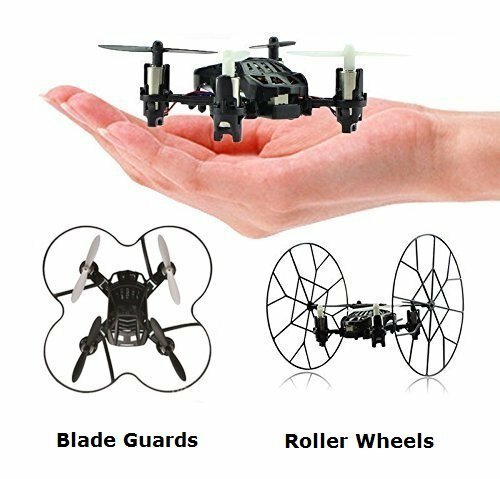 With the included wheels, this mini copter offers additional features that other drones don't have. Race on the ground at top speeds using the wheels and also enjoy on ground rolling for crazy stunts that can be performed both on and off the ground.